Two young poets, Jan and Remo, find themselves adrift in Mexico City. Obsessed with poetry, and, above all, with science fiction, they are eager to forge a life in the literary world--or sacrifice themselves to it. 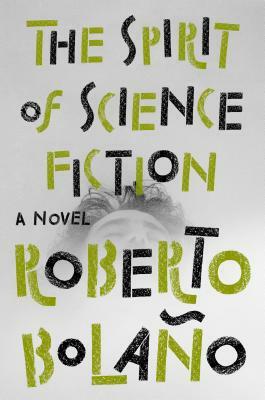 Roberto Bolaño's The Spirit of Science Fiction is a story of youth hungry for revolution, notoriety, and sexual adventure, as they work to construct a reality out of the fragments of their dreams. But as close as these friends are, the city tugs them in opposite directions. Jan withdraws from the world, shutting himself in their shared rooftop apartment where he feverishly composes fan letters to the stars of science fiction and dreams of cosmonauts and Nazis. Meanwhile, Remo runs headfirst into the future, spending his days and nights with a circle of wild young writers, seeking pleasure in the city's labyrinthine streets, rundown cafés, and murky bathhouses. This kaleidoscopic work of strange and tender beauty is a fitting introduction for readers uninitiated into the thrills of Roberto Bolaño's fiction, and an indispensable addition to an ecstatic and transgressive body of work. Roberto Bolaño (1953-2003) was born in Santiago, Chile, and later lived in Mexico, Paris, and Spain. A poet and novelist, he has been acclaimed as "by far the most exciting writer to come from south of the Rio Grande in a long time" (The Los Angeles Times), and as "the real thing and the rarest" (Susan Sontag). Among his many prizes are the prestigious Herralde de Novela Award and the Premio Rómulo Gallegos. He is widely considered to be the greatest Latin American writer of his generation. His books include The Savage Detectives, 2666, By Night in Chile, Distant Star, Last Evenings on Earth, and The Romantic Dogs. Natasha Wimmer is the translator of eight books by Roberto Bolaño, including The Savage Detectives and 2666. Her most recent translations are The Dinner Guest, by Gabriela Ybarra, and Sudden Death, by Álvaro Enrigue. She lives in Brooklyn with her husband and two children.